Discover the stunning Murray River and secrets of Adelaide with Australian Holiday Centre's new cruise and tour deal. Book any three, four or seven night Murray River cruise on-board the Murray Princess and receive a free Adelaide City Highlights Tour, with prices starting from only AU$799 per person. Three, four and seven night historic Murray Princess cruises start with the ship itself. Finished with polished wood and gold trimmings and featuring a winding staircase and two-story full-length windows to view the turning paddle wheel, the Murray Princess replicate's the paddle wheelers that first cruised the Murray in the 1800's. Accommodating only 120 passengers, the Murray Princess is filled with character and charm. 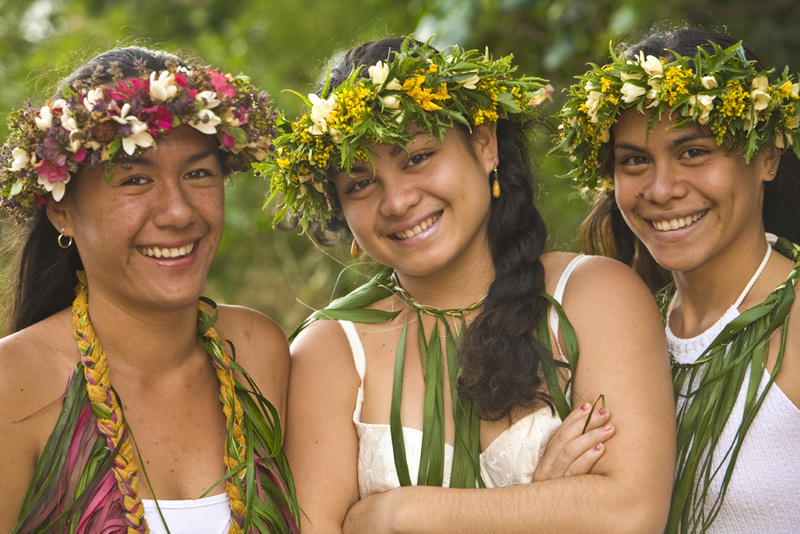 Cruises all feature exciting day trips to historic ports and unique on-shore excursions. Follow the food and wine trial for tastings onboard or at several vineyards and cellar doors along the river. Get up close to the river's 20-million-year-old cliffs and amazing birdlife on the 'Dragon-Fly' Flat Bottomed Boat vessel and led by on-shore guides enjoy nature walks, eco-tours and learn about the thriving ecology of the river. 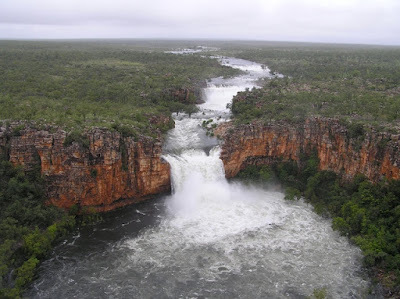 On-board sit back on the open top sundeck or in one of two air-conditioned paddlewheel lounges and enjoy the spectacular scenery of Australia's longest river, as the Murray Princess cruises past towering limestone cliffs and along riverbanks lined with mallee scrub and red gum forests. Food is a highlight of the cruise with guests enjoying hearty hot buffet breakfasts, two-course or buffet lunches and three-course or buffet dinners. The Adelaide City Highlights tour takes in Adelaide's main attractions including the cultural boulevard of North Terrace, its university, library, art gallery and museum; St Peter's Cathedral; historic North Adelaide; the Adelaide Oval and Haigh's Chocolates for a factory tour and tastings. This fantastic deal is valid until 31 March, 217 and valid for travel until 31t March 2018. 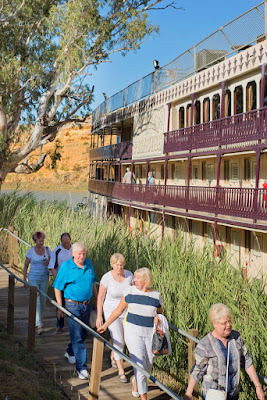 The three nights Murray Princess Discovery Cruise travels between Walkers Flat and Murray Bridge and departs every Friday at 4.30pm with Early Booking Saver (EBS) fares starting from AU$799.00 per person, twin share. The four nights Outback Heritage Cruise travels between Mannum and Blanchetown and departs every Monday at 4.30pm with EBS prices starting from AU$1099.00 per person, twin share. The seven nights Murraylands and Wildlife Cruise travels between Blanchetown and Murray Bridge and departs every Friday and Monday at 4.30pm with EBS prices starting from AU$1639.00 per person, twin share including a complimentary Barossa Valley tour. Prices include an Adelaide City Highlights tour, accommodation, all meals, guided nature walks, eco-excursions, onboard presentations, onboard WiFi, the Captain's Dinner and Cocktail Party, live entertainment, use of ship's facilities including a sauna, spa, sun deck, bar, two lounges, restaurant and mini gymnasium, complimentary scenic coach transfers from Adelaide or return to Adelaide Airport and secure car parking in Mannum. Private car transfers are also available return from Adelaide CBD and return to Adelaide Airport. To find out more about the Murray Princess, join Australian Holiday Centre and Captain Cook Cruises for a lunch presentation on March 15, 2017 from 12/noon on-board the Sydney 2000. Tickets are only $30 per person, normally $79. For further information or cruise and lunch bookings call Australian Holiday Centre on T: 1300 799 342, visit www.australianholidaycentre.com.au or visit them at Shop 3, Skyview Plaza, 551 George St, Sydney. 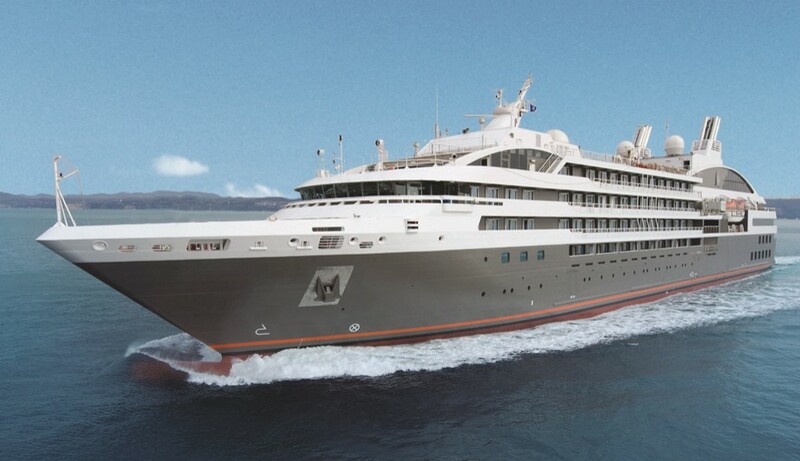 Launching with a series of special luxury cruises in 2017 and 2018 featuring five seven-night departures, these new Cousteau-hosted itineraries will offer guests intimate insider access to the famed explorer on both the Aria Amazon and Aqua Mekong vessels. 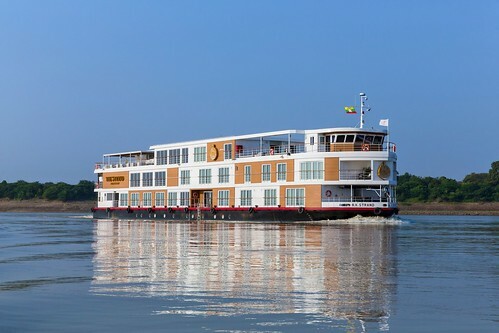 During these exclusive departures, travelers will experience the environmentally rich Amazon and Mekong rivers from the perspective of a conservationist and will get to know Jean-Michel in the intimacy of a small group of fellow travelers (the Aria Amazon’s maximum capacity is 32 passengers, while the Aqua Mekong’s is 40). Guests will learn first-hand about Cousteau’s deep experience exploring the Amazon and other remote areas around the world as he champions the cause of environmental conservation and protection. Each voyage will include evening talks with Cousteau, and screenings of several of his award-winning films. “I met Jean-Michel several months ago and instantly understood we share important common values. As we launch our new partnership, it will be a privilege and an honor to be hosting him on these very special departures on the Aqua Mekong and Aria Amazon,” said Francesco Galli-Zugaro, founder and CEO of Aqua Expeditions. 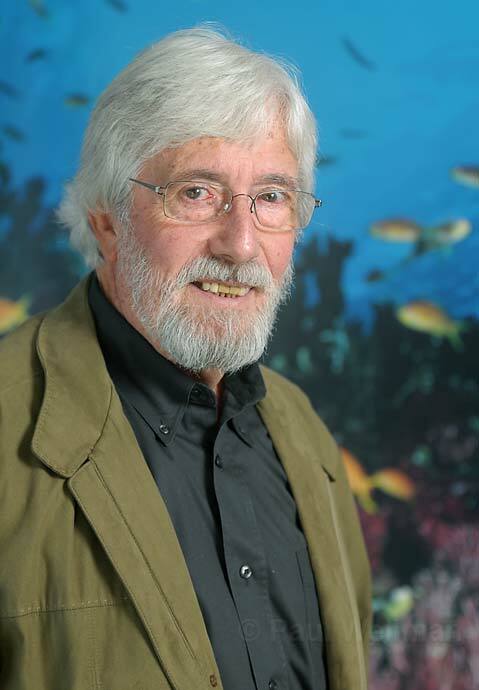 This special series of cruises introduces an in-depth collaboration between Jean-Michel Cousteau and Aqua Expeditions to highlight the importance of environmental conservation. Rates for these voyages start at US$11,150, based on double occupancy. 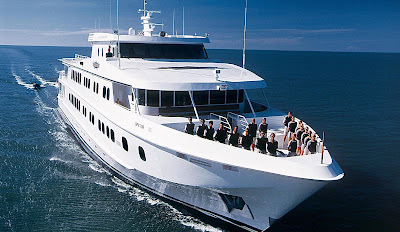 Each departure is available for individual travelers or as a buyout for full charters. Cruiseco, the leading provider of worldwide cruising options in Australia and New Zealand, is delighted to offer guests an incredible voyage around our Island Continent, aboard Ponant's luxurious vessel, L'Austral. Exclusively designed by Cruiseco and Ponant, this 40-night circumnavigation of Australia departs the spectacular Sydney Harbour on 25th January 2018, visiting some of the country's most breathtaking ports, beautiful natural wonders, scenic highlights and tourist attractions along the way. 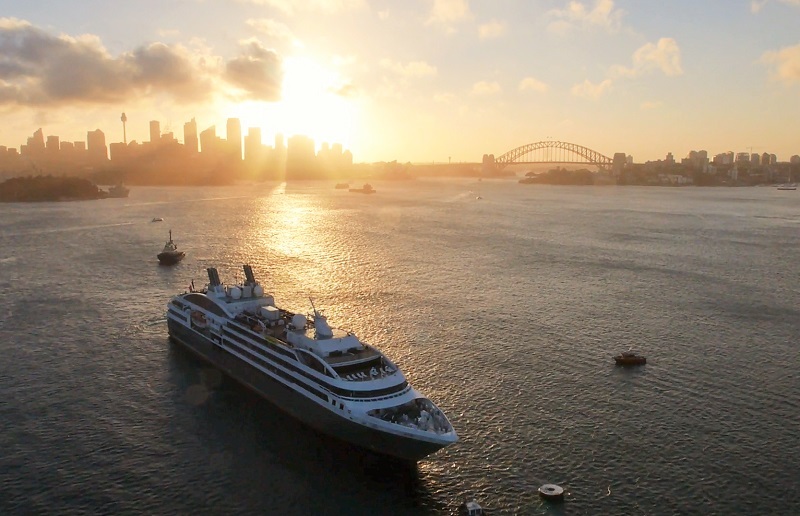 "Cruiseco and Ponant have worked together to design an itinerary that will offer guests a once-in-a-lifetime voyage and exclusive holiday aboard L'Austral, a superb mega-yacht. This voyage offers a travel concept that is luxurious and authentic, however is also intimate, with only 123 cabins and suites available. 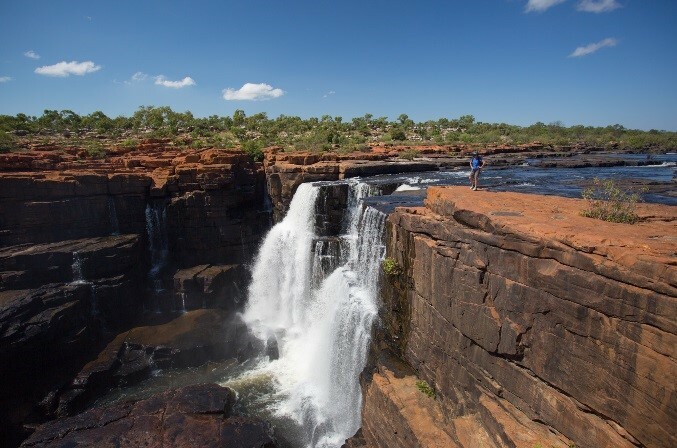 Discerning travellers will have the ability to explore more secluded ports and locations of Australia, which are off the beaten track and more difficult to reach, whilst enjoying stunning scenery, incredible locally produced food and wine and the chance to experience local wildlife in its natural surroundings." · Thursday Island, Cape York (the Tip), Lizard Island, Cooktown, Port Douglas, Hamilton Island and Fraser Island in Queensland. Aboard the majestic L'Austral, guests will be accompanied by a specialist expedition crew which shares information on the history of the ports visited and provides insights into the heritage, flora, fauna and landscape of the country. The cruise itinerary is also designed for Cruiseco to offer a range of overnight excursions away from the ship, where passengers re-join L'Austral in the next port of call or after visiting a major tourist highlight such as Cape Tribulation and Daintree Rainforest. "At Cruiseco we want guests to immerse themselves in the true Australia, by discovering the breathtaking landscapes of the local regions, indulging in food and wine, and learning about the rich history and culture of our country. 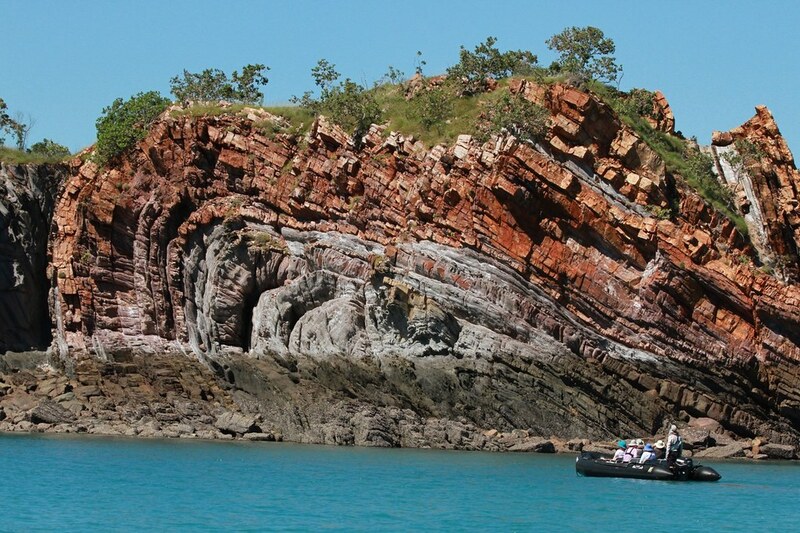 Complimentary zodiac tours allow guests to glimpse spectacular parts of the country only seen by a select few. Many of the ports on the itinerary are only available to smaller ships and some can only be accessed by ships carrying zodiacs. For those ports that do not have berths alongside, the smaller vessel of L'Austral enables a quick and regular tendering in order to maximise time ashore for guests. Offering only 123 cabins across nine different categories, many are sure to disappear quickly, so we urge any travellers who would like to cruise with us to secure their places soon," added Clarke. Each bespoke tour has been custom designed exclusively for this type of expedition, refined and personalised holiday. Guests aboard L'Austral can expect to experience a luxurious, chic and elegant ambience. All 123 cabins and suites include controlled air-conditioning, king size bed, minibar, flat screen TV, iPod players, French bath products and plush bathrobes, and complimentary 24-hour room service. Prices to travel aboard L'Austral on a 40-night circumnavigation of Australia, departing Sydney on 25th January 2018, start from AU$29,000* per person, based on twin share in a Superior Stateroom. Fares include: all meals onboard, including 24-hour room service; beverages – house wines, beers, sparkling wine, non-premium spirits; and a specialist expedition crew, including experts in the field of botany, marine biology, history and photography and zodiac tours. *Prices are subject to availability and subject to change. Terms and conditions apply. 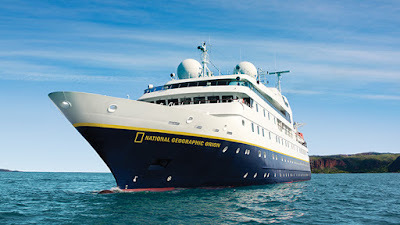 Lindblad Expeditions-National Geographic has named its newest addition to their fleet, National Geographic Venture, which is currently being built in Seattle and will make her inaugural voyage in June 2018. Sister ship to the National Geographic Quest which is launching in June 2017, they are the first new builds in Lindblad's history and the only purpose-built expedition ships designed and built from scratch in the USA. The 100-guest National Geographic Venture will launch in June 2018 and will feature 50 cabins, 22 with step-out balconies, and six sets of connecting cabins for families and groups; all category 5 cabins can accommodate a third guest. The ship will be outfitted with a fleet of 24 sea kayaks, paddle boards, snorkeling equipment, and Zodiacs, all of which are geared to get guests out and into the wild, remote places being explored; state-of-the-art expedition technology, including a remotely operated vehicle (ROV), video microscope, a hydrophone and underwater cameras. Her inaugural voyage will be on the June 24, 2018 departure of "Treasures of the Inside Passage: Alaska & British Columbia." This 14-day expedition will give the ship a day in the San Juan Islands and a day in the Gulf Islands before heading north through BC and Alaska. She will then do the 8-day "Exploring Alaska's Coastal Wilderness" for 8 departures; another "Treasures of the Inside Passage" in September, followed by six 8-day "San Juan Islands & British Columbia" departures. · A Better View – A common constraint with wildlife viewing on a ship's bow is that the anchoring gear takes up space and a single level allows only one row of guests to enjoy clean sightlines. To provide a superior viewing experience, the bow on the National Geographic Quest and National Geographic Venture have been designed with the anchoring gear separated from guest space by a tiered viewing system. This enables multiple rows of guests to line the bow with an unobstructed view. Also, two stairways on either side of the bow lead to an expansive observation deck one level up, for a unique perspective. All of these exterior viewing levels are accessible from the lounge, making for a seamless viewing experience. · Mark V Zodiacs – Inflatable expedition landing craft enable naturalists to take guests to places otherwise inaccessible. To outfit the National Geographic Quest and National Geographic Venture, Lindblad worked hand in hand with the team at Zodiac Milpro to deliver the first and only Mark V Zodiacs built entirely in the USA. These boats are superior, military grade construction, but customized with features like extra holds for passenger stability and topside treads to improve footing for stepping on and off. Both ships will be outfitted with 8 Mark V Zodiacs and guests will embark and disembark via custom-designed ladders to improve safety and ease of movement. · A Clearer View – Both ships feature a dining room with floor-to-ceiling wraparound windows and a lounge with wraparound windows as well. (Not to mention the many cabins with portholes, large view windows or sliding glass doors.) That's a lot of glass. But what kind? Lindblad painstakingly researched and tested many types of glass, ultimately selecting a premium glass with a straight tint. This will offer the clearest, most natural view possible. · A Better Bridge –The bridges on these vessels have been uniquely designed with the guest in mind, and feature designated forward standing areas with clear views and settees set around the room's state of the art equipment to ensure a comfort for longer stays. All Lindblad Expeditions' vessels have an open invitation to the bridge, so that guests can learn about navigation and enjoy the vantage point that a ship's bridge provides. · Environmentally Friendlier – The internal systems aboard the National Geographic Quest and National Geographic Venture are the best available in the market today. Advanced waste management and treatment systems exceed international standards. To lessen the need for fuel, both ships feature a streamlined hull design, added a bulbous bow and have scoured the market for the most suitable propulsion systems available. Everything from the propellers to the engines have been specifically chosen to minimize vibration and improve fuel efficiency. Working in concert, these systems will enable the vessels to use less fuel than many ships far smaller. · The Mudroom Keeps Cabins Cleaner – Taking their cue from the globetrotting National Geographic Explorer and Orion, the new builds will be the only ships in their regions of exploration to feature a mudroom for the storage of guest expedition gear. The room and rows of lockers will enable guests to store boots, snorkeling equipment and other gear, making excursion preparation more efficient and leaving cabins cleaner and more comfortable. · A Shared Legacy of Innovation - When Lindblad wanted to build the perfect ships to explore from Alaska to Central America, they turned to Nichols Brothers Boat Builders on Whidbey Island, Washington, the same company that built the very vessels they have used for the last 36 years. Nichols Brothers Boat Builders completed the National Geographic Sea Bird in 1981 (then known as the Majestic Alaska Explorer) and the National Geographic Sea Lion in 1982 (then known as the Great Rivers Explorer). Lindblad's work with Nichols Brothers will result in the only expedition ships of their kind built entirely in the United States—an endeavor that both companies could not be more proud of. Aqua Expeditions, one of world's leading luxury river cruise companies, has announced two new hosted voyages for 2017 after the extraordinary success of the programs in 2016. Guests will have the exclusive chance of joining company Founder and CEO, Francesco Galli Zugaro, or Consulting Chef Pedro Miguel Schiaffino, on Aria Amazon on the Peruvian Amazon and Aqua Mekong on the Mekong River in Vietnam and Cambodia. Guests on these select departures will participate in special itineraries showcasing the creative innovations and entrepreneurial spirit that make the company's cruises memorable. While exploring on his favourite excursions, Francesco Galli Zugaro will share his vision for creating this acclaimed cruise company. Guests can join Francesco on a biking adventure through the local streets along the Mekong or kayaking on the gentle flows of the Amazon to spot indigenous wildlife. Over cocktails, Francesco will discuss from conceptualisation and design to the construction and launch of each the magnificent cruise vessels. 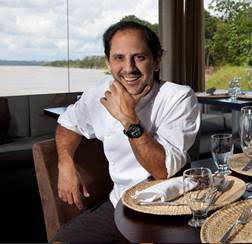 Pedro Miguel Schiaffino—who is the Chef and Owner of Malabar and AmAz—two of Lima's cutting edge restaurants—invites gastronomes to explore the flavours of the Amazon with him. Guests will take cooking classes with Chef Schiaffino and travel together to the local markets to learn about locally grown and harvested ingredients that are essential to creating his signature dishes on-board, such as the Coconut Tapioca with Mango Sorbet and Causa with Shrimp Escabeche. Passengers who were on board a troubled a French luxury liner are Doubtful Sound bound, after their cruise ship was forced to stop in Bluff. 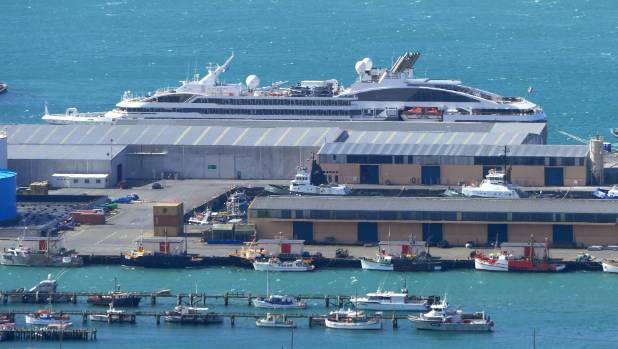 One of luxury cruise company Ponant's yachts, L'Austral, is in port at Bluff after suffering "an issue" at sea, while on its way to the Sub Antarctic Islands. But the vessel's misfortune has meant a bonus day for passengers, who will now experience the beautiful Doubtful Sound, thanks to a bit of Southland hospitality. Delve into the unique elegance and culture of Cuba and the Caribbean on an 11-day voyage aboard Silver Explorer. Departing Nassau, Bahamas, on 06 October 2017, Silver Explorer journeys to Havana, the capital city of Cuba. Here guests can explore the colourful city with a guided tour, which showcases the extraordinary history and culture of this wonderful part of the world, travel in style in a vintage car to a cigar factory, and enjoy a traditional Cuban Tropicana Evening Show. Old Havana, a UNESCO World Heritage Site known for its narrow cobbled-stoned streets and spirited music scene, also awaits explorers as they experience the magic and enchanting atmosphere of Cuba. At the next port of call Punta Frances, Isle of Youth, guests have the opportunity to dive into the crystal blue waters of the Caribbean with one of Silversea's marine biologists, to discover and learn about this breathtaking underwater world. Continuing her journey to Cienfuegos, guests can immerse themselves in the vivacious capital, influential with the evolution of Cuban literature, music, politics, before sailing to Cartagena, Colombia to visit the old fortress quarters of Cartagena, yet another incredible UNESCO World Heritage Site. This voyage then visits San Blas Islands (Guna Yala), Panama, where guests can laze on the white-sandy beaches under overarching coconut trees, before disembarking in Colon, Panama on 17 October 2017. Prices are per person, starting from AU$10,700* in an Adventurer Suite, based on double occupancy. Silversea Expeditions' fares include: all shore and Zodiac excursions hosted by an expedition leader; all-suite accommodation with butler service; gourmet meals with menus inspired by Relais & Châteaux; complimentary wines, Champagne and spirits served throughout the ship; an outstanding expedition team of expert guides and lecturers; complimentary WiFi and all gratuities. 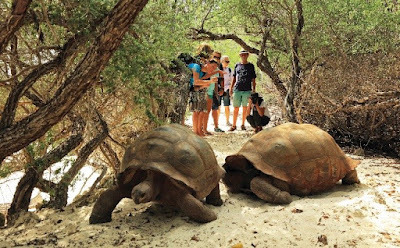 Lindblad Expeditions-National Geographic has announced that they will be taking National Geographic Orion to French Polynesia & the South Pacific in 2018. The five new itineraries will offer one week and two week voyages from March through August 2018. From stunning coral reefs to jubilant welcome ceremonies, guests will discover secluded atolls with some of the world’s most unspoiled undersea, outstanding wildlife, and a wealth of culture - with unmatched access to spectacular landscapes, towering waterfalls and shore landings only accessible by expedition ship and Zodiac. Lindblad’s history in the region and network of friends ensures peak experiences in remote locations, a rich encounter with the geography, and the opportunity to truly “get lost” in paradise. Expedition cruise company, Aurora Expeditions, has announced the appointment of Robert Halfpenny as the company’s new Chief Executive Officer. 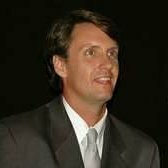 Halfpenny brings over 25 years of travel industry experience to the position having previously held senior roles with Globus, Virgin Australia, the Travel Corporation and, most recently, Rocky Mountaineer. 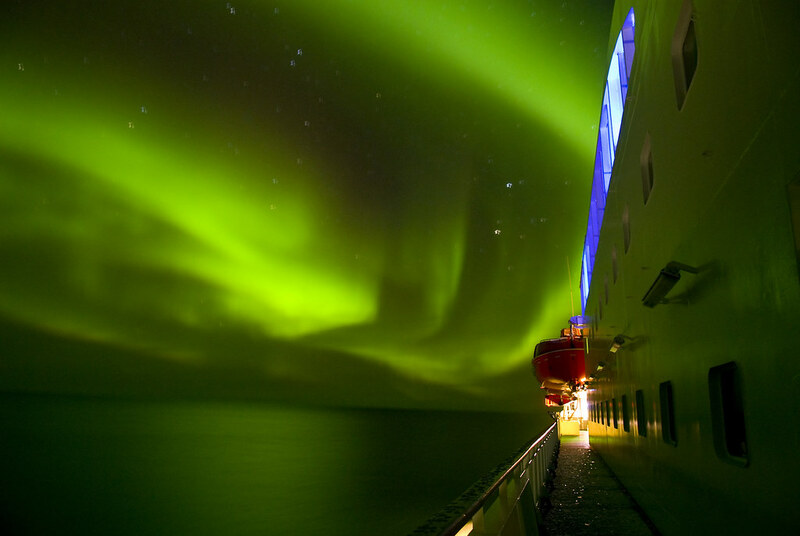 “I look forward to entering the fast-growing expedition cruising sector and am very much looking forward to leading Aurora Expeditions’ team into a new phase of growth and development” said Halfpenny. Halfpenny will commence his new position on 1 February 2017. The appointment follows the resignation of previous CEO Lisa Bolton in September last year who stepped down to pursue other opportunities. The Strand Cruise, which celebrated its first year of operation on Myanmar’s Ayeyarwady River on 22nd December 2016, has announced plans for its first culinary themed cruise in March 2017 to be lead by the Strand’s new executive chef, Christian Martena and guest chef, Sylvain Royer, Michelin starred Chef de Cuisine of the R&B Lab Company. Chef Christian, who is responsible for the culinary offerings of both The Strand Cruise and the newly reopened and refurbished Strand Yangon, will join passengers on a four-night voyage from Bagan to Mandalay on 13th March 2017. Since moving to Yangon in Summer 2016, Chef Christian has been travelling around Myanmar to visit suppliers and remote farming communities to immerse himself the country’s distinctive regional cuisines and source the best produce and spices to create a unique gastronomic experience. 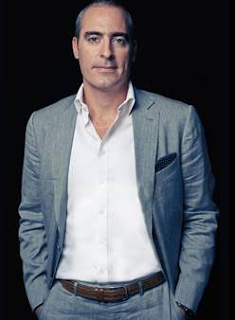 Christian will be joined by fellow chef, Sylvain Royer, a Bangkok-based farm to table fanatic who is responsible for several highly acclaimed restaurants in the region, including the Scarlett Wine Bar & Restaurant in Bangkok. As well as visiting ancient capitals and fascinating temples along the river, passengers can accompany Chefs Christian & Sylvain on visits to markets to discover local ingredients such as the tealeaf, which is used to make Laphet, a traditional Myanmar salad of fermented green tea, and infuse fish recipes such as Mohinga, a fish and noodle broth from the Shan region. They will also present some of their signature dishes pared with wines each evening, teach passengers how to shank oysters and lead a fun blind food tasting contest to discover or re-discover ingredients found in Myanmar, such as lemongrass. The Strand’s culinary themed cruise will take place as part of the ship’s scheduled four-night cruise from Bagan to Mandalay on Monday 13th March 2017 and is a value-added experience offered at no extra cost to passengers. Rates are from $2,694 per person sharing a Deluxe Cabin based on double occupancy. Rates include all excursions and activities on board The Strand Cruise as described in the set itinerary, three meals during full sailing days, breakfast on day of disembarkation, soft drinks & local beer, house wine during meals, port charges, English speaking guides (alternative language guides can be provided on request subject to availability) and satellite WI-FI in all cabins and public areas. This gourmet cruise is the second in a series of themed trips operated by The Strand Cruise through 2017 and will be repeated again in September 2017. Its first themed cruise will be a classical music cruise departing 13th February 2017 when The Strand Cruise welcomes on board eight classical musicians, including artists from the famous Opéra de Paris and Orchestre de Paris, for an intimate four-night musical cruise over St. Valentine’s Day. Passengers will share in the experience of hearing scores from some of history’s most famous composers, including Mozart and Puccini, echoing against a backdrop of romantic sunsets, starlit night skies and a vista of thousands of pagodas. 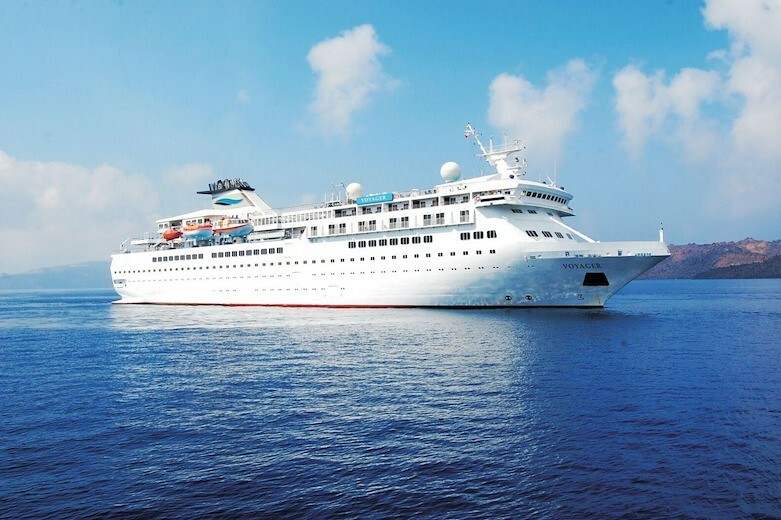 All Leisure group, the privately owned British company that owns boutique cruise brands Swan Hellenic, Voyages of Discovery, has collapsed, Travel Weekly reports, adding that chairman Roger Allard blamed a perfect storm of geopolitical events for what had happened. “The lines currently have 400 passengers overseas, all of whom will be repatriated by the CAA. The lines also have 7,000 forward bookings with 13,000 passengers affected, according to Abta,” the report said. 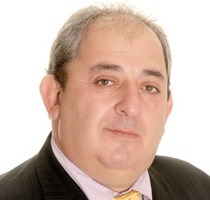 Chairman Roger Allard, paid £301,000 in 2015. This is the first time that a cruise operator has gone out of business because of the events around the Mediterranean region in the past half a decade. The event highlights the fact that the operating environment of the cruise industry has become far more challenging in the past few years due to geopolitical events, mainly in the Mediterranean and Black Sea regions, and points out that similar kinds of developments elsewhere can also have far-reaching consequences. Both Swan Hellenic and Voyages of Discovery are destinational brands that included excursions to their cruise fares. They also had speakers on board their ships that ranged from diplomats to scientists and scholars. Swan Hellenic’s Minerva and Voyages of Discovery’s Voyager are both small vessels, well under 20,000 gross tons both. They operated mainly open-ended fly cruise itineraries. This kind of model of operations allowed the brands to offer exciting itineraries, but it also meant high costs, because operations could not be centred in a single location. Editor Note: Discover the World, which acts for All Leisure Group in Australia, said it was advising people to contact their travel agents, insurance companies or banks. In 1969 Cousteau and his crew came to Chuuk to film an episode of the now famous Undersea World series. While Cousteau himself only came for a few days, his crew stayed for two months, eventually leaving with tonnes of 'relics' salvaged from the previously undisturbed wrecks. Those relics, believed to still be in the Cousteau family somewhere, have never been seen since. Plot: Truk lagoon in the South Pacific, the site of a fierce battle during WWII, is now home to around 50 sunken Japanese vessels. 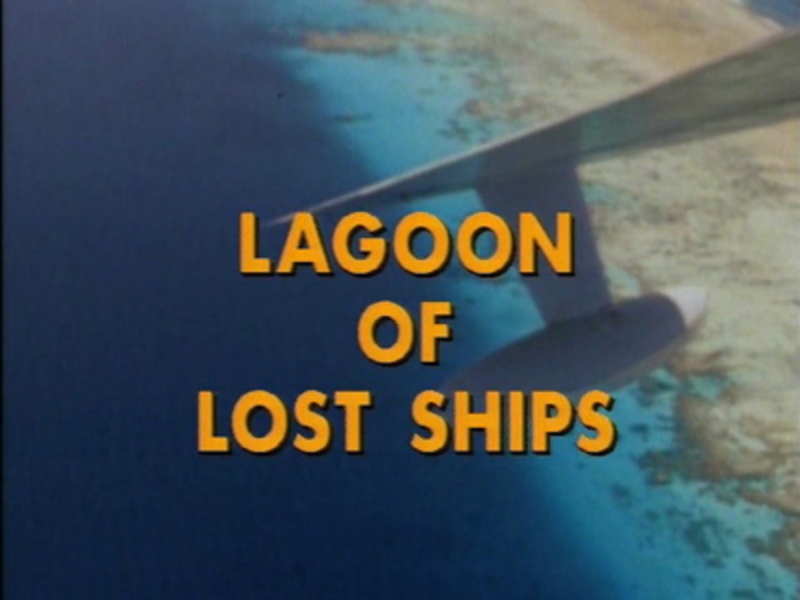 The crew explores the Pacific lagoon to learn how marine life adapts to foreign matter. The divers discover an uncharted sunken freighter, complete with the skeletons of its long-dead crew. 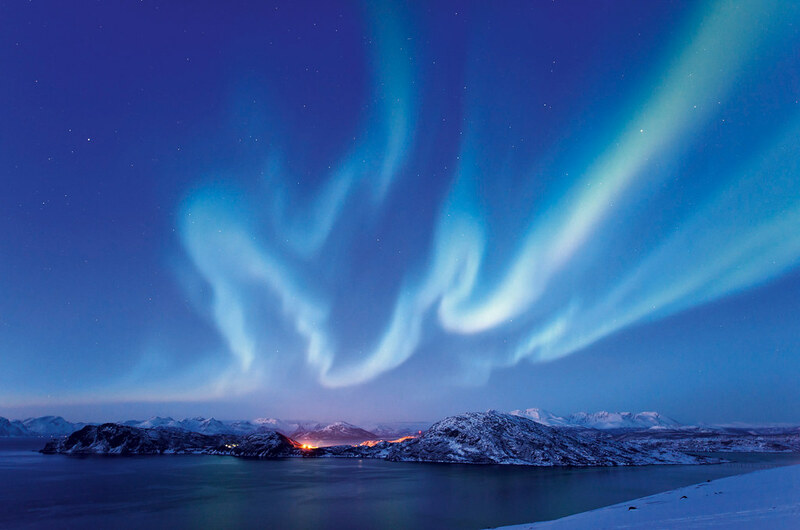 North Star Cruises designs luxury cruise itineraries for the most discerning adventurer. As the market leader, North Star Cruises boasts impeccable customer satisfaction rates. All cruise meals on the True North feature the finest local gourmet cuisine. North Star Cruises offers a range of luxury itineraries to the magnificent Kimberley coast, West Australia, South Australia, Sydney and Papua New Guinea. "Antarctica often throws up the unexpected. Early this morning some of us awoke to realize that the familiar thrum of the ship’s engine was missing," wrote naturalist Andrew Atkin from aboard the stricken vessel, "Later we found that there is a mechanical glitch and that we must proceed towards Ushuaia under reduced power at a modest speed. Although onward travel plans from Ushuaia will need some re-configuring due to our late arrival, we are not in any risk and have sufficient luxuries to see us through." The "National Geographic Orion" suffered an engine failure on Dec 27, 2016, which has forced the ship to cancel a number of its upcoming Antarctica sailings. All passengers and crew were safe. 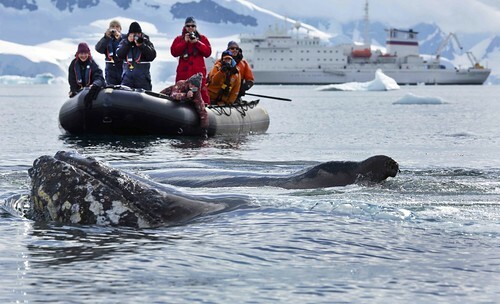 The incident took place as the ship was leaving the Antarctic Peninsula on its return to Ushuaia. The ship was now on its way back to port through the Drake Passage at reduced speed (of about 5 kts). In order for the ship to undergo its necessary repairs, the Dec 27 departure, as well as all January departures, have been canceled. A team of engineers has been dispatched and was on their way to Ushuaia to assess the full impact of the technical issues. 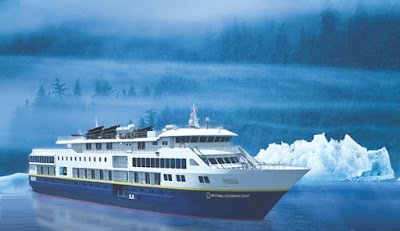 Once the evaluation has been completed, Lindblad Expeditions will release additional information. Passengers onboard when the incident occurred will receive reimbursement for any costs incurred due to their late arrival into Ushuaia, as well as a $1,000 credit toward future travel with Lindblad. Those who had already traveled to Santiago for the Dec 27 departure will receive a 100 percent refund (including airfare) as well as a full credit in the amount they paid, for future travel.